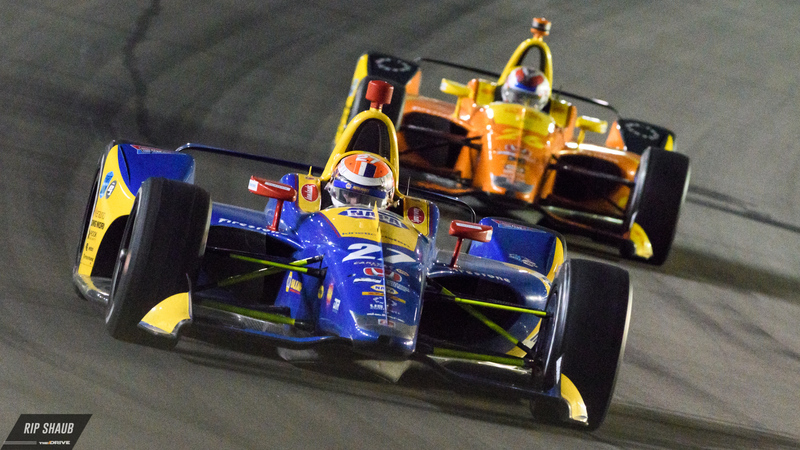 Alexander Rossi is the future of IndyCar—many, including recently crowned five-time champion Scott Dixon, will tell you. The young Californian who was once thought to be unquestionably standoffish by his peers has moved past the concept of simply making a pit stop on his way to an F1 return, and as 2018 proved, he's got the edge to stick it to the series' best when the heat is cranked. From serendipitously winning the Indianapolis 500 in his first crack at it to finishing within shouting distance of this year's IndyCar championship trophy, Rossi has shown that he will flourish. But he'll have to topple the driver who is undoubtedly the greatest of this generation, perhaps in any realm of motorsport. In contrast, Dixon is, at 38-years-old, the present of the American open-wheel league and has held that position with a calm yet assertive hand for years. His knowledge of the game is unparalleled by any active driver, as is his success, which makes him the yardstick that many measure themselves by to find their place within IndyCar's stacked power rankings. Having his name mentioned in the "Greatest Of All Time" conversation is an impressive feat, especially given the mega-legends that are also breathed alongside his. “Dixie” is methodical and mature. He essentially always has been. That's why he and Chip Ganassi, the most triumphant multi-discipline team owner alongside his friend and rival Roger Penske, get along so plainly. While that description of their relationship may sound mundane, Ganassi will assure you that it's the perfect cohesion between boss and driver. "I like winners," he explains one Sunday after another. Furthermore, Dixon uses his calculated moves to his advantage, not to mention everyone else on track's detriment, through virtue of patience. He's got no issues with commitment nor does he have an addiction to the public eye as so many other modern-era race drivers tend to. He naturally progresses from outline to execution in the smooth turn of a wheel, just the same way he has done in his more than 16-year tenure with his current team. Rossi has described the Kiwi as IndyCar's "benchmark for everything," showing the level of respect between the two ace pilots along with Dixon's confessed adoration for his 26-year-old foe. Despite that seemingly gleeful approach to their rivalry, neither let off on Sunday when battling for the Drivers' Title at Sonoma, which Dixon won. "I love this championship and everything it represents," Rossi explained prior to Sunday's season finale, denying any rumors that he wishes to race elsewhere. "I feel very fortunate to have the opportunity to be here. I wouldn't want to have it any other way." After the checkered flag waved and Rossi witnessed Dixon's humble-yet-elated celebration with his team and wife Emma, the runner-up was level-toned and calm rather than unabashedly begrudging. In all, it was an early-race mistake that displaced Rossi from contention at Sonoma. 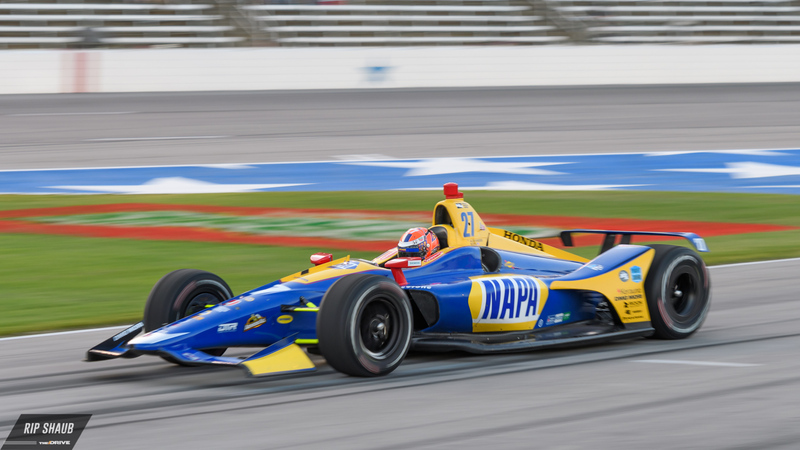 He had the jump on the start but overshot his surroundings in Lap 1, Turn 1 when he nicked teammate Marco Andretti's car, damaging his own and leaving him to deal with a broken front wing and flat right-front tire. Limping to the pits for an unscheduled stop, Rossi quickly fell a lap down to The Iceman and leader Ryan Hunter-Reay. He was left to battle past backmarkers while Dixon was in clean air at the front. While Rossi willed his No. 27 NAPA Honda to seventh at the end of the sun-baked afternoon, it was Dixon who paced himself and dictated his crusade. This level of command is not unattainable for Rossi. In fact, very few of Dixon's accolades are out of reach in the scope of experience. They each started early and with well-respected organizations, Dixon quickly transferring to Chip Ganassi Racing from the now-defunct PacWest team and Rossi always calling Andretti Autosport home. Dixon won his first Indy 500 at the age of 28 while Rossi knocked it out at 24. The list goes on, but the looming question of when Rossi will turn the tables on Dixon for championship glory remains. But Rossi is learning. He's making his own powerhouse with Andretti and close partner Rob Edwards. He's out-driving some of the most skilled individuals ever to sit behind the wheel of an Indy car in what is essentially a spec machine, save for setup and power units. On top of that, and maybe most importantly, Rossi is harnessing his admittedly introverted personality and focusing it on the essentials to win. That, I can assure you, will make the difference. Elsewhere, while these two top-level professionals work to better their form and improve the already-stellar results achieved in 2018, the audience is fortunate to witness what is arguably the most competitive racing series anywhere, all from the comfort of American tracks and their own homes. These drivers are personable, fathomable beings with influence—not untouchable rockstars that pander to each demographic in hopes of fueling their own gain. In conclusion, this is the key takeaway in what will likely become the most respectable, and unwritten, ongoing battle of the decade.